Douglas Barwick Inc. a DB Piping Group company, is a young and dynamic new company, formed on October 30, 2000 by Marshall Barwick Inc. when the Corporation acquired all of the remaining outstanding shares of Robert Mitchell Inc.
Douglas Barwick Inc. is the result of the fusion of two of the most recognized and respected light-wall stainless steel piping manufacturers in North America, Douglas Bros. Stainless Steel Piping Division of Robert Mitchell Inc. and Henderson Barwick Inc. Douglas Bros. was established in 1875 and purchased by Robert Mitchell Inc. in April, 1956. Henderson Barwick was established in 1922. Douglas Barwick Inc. is the culmination of the skills and experience of these two one-time rivals, encompassing the best of both. Synergies were realized throughout 2001 as pipe fabrication operations were consolidated into one facility, and the work force streamlined into smaller, more efficient operating units. 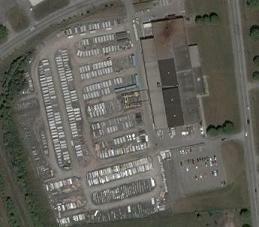 The consolidation placed all manufacturing of pipe at one location in Brockville Ontario. In the future, we hope that Douglas Barwick Inc. can be of service to you.